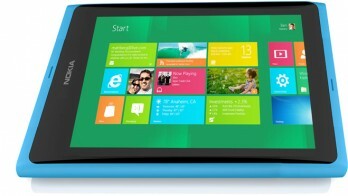 Windows 8, when you cut to the chase, is a tablet-oriented, touch-first skin on top of Windows 7. If you take into account the actual software stack and runtime, calling Metro a “skin” isn’t accurate at all, but as far as consumers and companies are concerned, that’s exactly what it is. There are two problems with this: First, if you already use Windows 7 — and hundreds of millions do — there is little reason to upgrade to Windows 8, much in the same way that everyone eschewed Vista and stuck with XP. Second, if everyone goes out and buys a Windows 8 tablet, Microsoft would collapse in a frothing fit of unprofitability. You see, Windows 8 tablets, especially ARM variants, will be used almost exclusively in Metro mode — or, more accurately, tablet mode. At this point, Windows 8 ceases to be a “PC” operating system in the conventional sense of the word and enters a market that is dominated by Apple and Android and apps that cost between one and 10 dollars. On the desktop, Microsoft charges anywhere between $30 (OEMs) and $125 (retail box) for a Windows license, with the average being around $60. Android, by comparison, is free, and effectively so is iOS. A Microsoft Office license is even more costly, with an average price in the hundreds of dollars region. Mobile word processing apps like the iWork suite or Documents To Go, by comparison, cost just a few dollars. Here’s the tricky bit: Microsoft has free or cheap alternatives to Windows and Office in the form of Windows Phone 7, Office Mobile, and Office Web Apps. For around $15, OEMs can license an operating system that has all of the major mobile computing components and is a direct analog of the cross-platform iOS — but it can only be used on smartphones. To put this into perspective, though, remember that Microsoft gets around $15 per smartphone, or between $30 and $300 per desktop or laptop. If we look at Microsoft’s 2011 profits of $23 billion, 57% came from its Windows division (Desktop & Server) and 65% from Business (Office) (The totals come to 122% because of internal adjustments, and because Bing currently loses more than a billion dollars per year.) Windows Phone 7 and Xbox are flecks of crud on Ballmer’s heel in comparison. Microsoft, then, simply can’t afford to put Windows Phone 7 on its tablet “PCs.” If, during the next upgrade cycle, hundreds of millions of people bought WP7 tablets instead of Windows 8 tablets, Microsoft would lose billions of dollars and eventually go out of business. Microsoft is stuck between a rock and a hard place: It needs to be a serious competitor in the tablet market, but it simply can’t compete with Apple and Android in terms of cost, a problem that is exacerbated by Apple’s profits deriving from hardware rather than software. Remember the HP TouchPad? It was fatter, slower, and heavier than the iPad — but cost more. Windows 8 tablets, even if Microsoft cuts the margins on its cash cow franchises, cannot compete with iOS or Android on price — it’s as simple as that. Fortunately, at least if you’re a Microsoft fan, there is a way out of this razor-sharp dichotomy. One method is for Microsoft to stick to its guns and call these Windows 8 tablets — whether they’re x86 or ARM — PCs. The inexorable cost difference between Windows 8 tablets and the competition will be ameliorated by the sheer awesomeness of being able to do anything with a portable slate. This is the route that Microsoft is currently taking, and given Ballmer’s painstakingly conservative efforts to milk Office and Windows for as long as possible it’s really the only feasible path. There’s another option, though; one that would scare MS shareholders and the industry itself into a shocked stupor. Microsoft could buy out Nokia and create a beautiful Windows Phone 7 tablet. With the hardware and software both in-house, MS could compete with Apple on cost and production values. Furthermore, Microsoft could give up on the Metrofied Start screen and focus on making Windows 8 a first-class desktop-and-laptop enterprise-oriented OS. There would be a dip in Windows and Office licenses as consumers shift from PCs to their WP7 tablets, but Microsoft could mitigate that by offering more subscriber services. Think of Xbox Live and Xbox TV, but on your WP7 tablet. Instead of paying $300 for an Office license, think of paying $5 per month for oodles of SkyDrive space and access to both offline and online Office suites. After almost 30 years of thundering ahead in the same direction, it would take cajones the size of cantaloupes to rock the Windows revenue boat — but at the same time, going full steam ahead and squeakily stipulating that Windows 8 tablets are PCs dammit! is a risky ploy as well. After all, if there has ever been a time when the definition — and fate — of PC s in question, it is now.